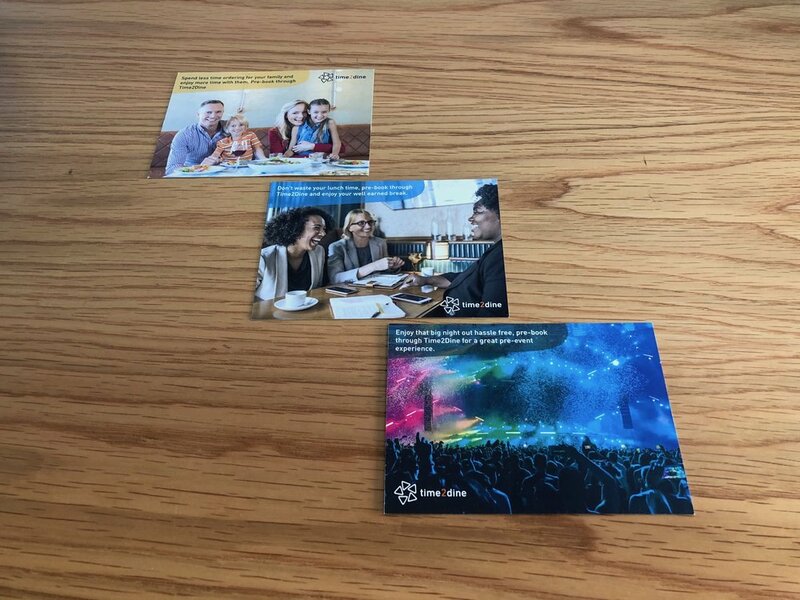 Time2Dine Promotional Materials — The Marketing Department — branding, design, marketing and events. Based in Glasgow, operating worldwide. Time2Dine offers restaurant diners a new way to book, order and even pay for their food ahead of going out. In our fast-paced and busy urban centres, this is a fantastic new way for diners to save time yet still enjoy their favourite foods in their favourite restaurants. 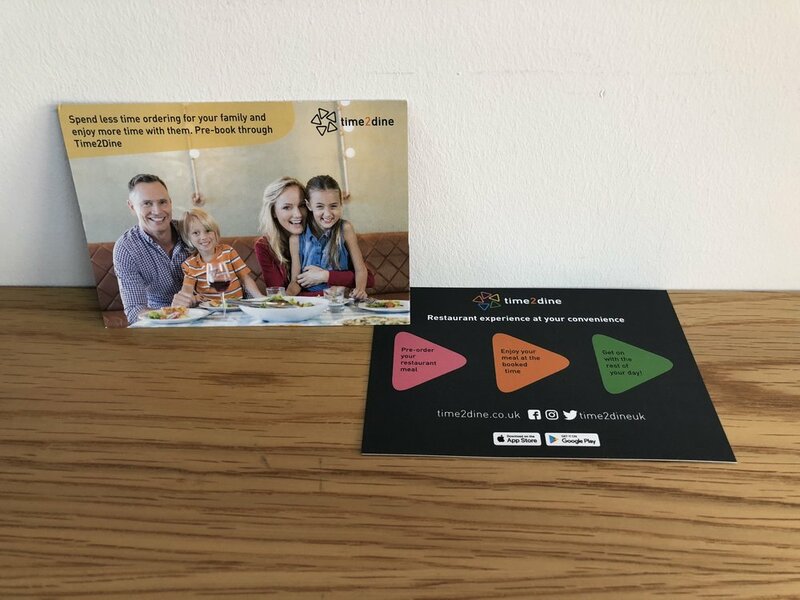 We have been working with Time2Dine for some time now, firstly on their marketing and communications and then on several pieces of design work including branding their car. 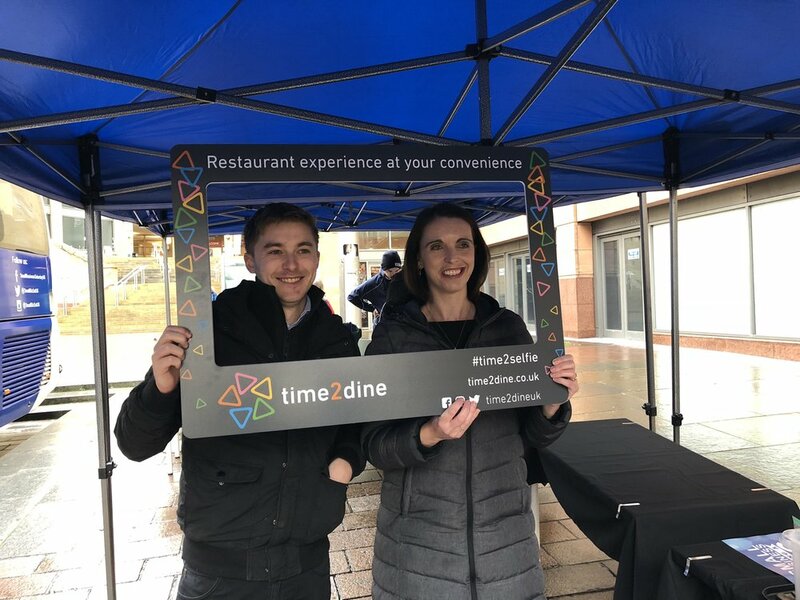 Time2Dine are now involved with the Small Business Saturday bus tour, and they took part in a street event on Wednesday 31st 2018 during the Glasgow stop of the tour. They asked us to make up some promotional cards and a selfie frame for photos. 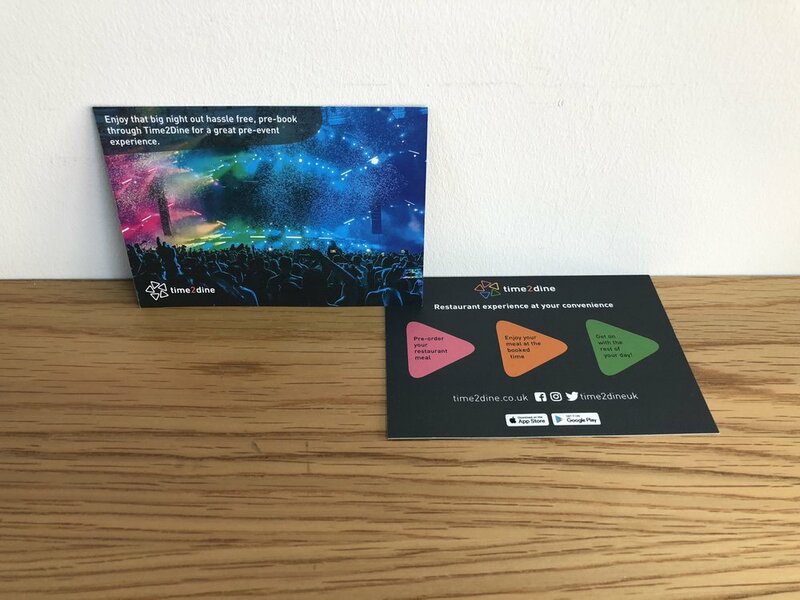 We had a quick turnaround time but we are very happy with the result.